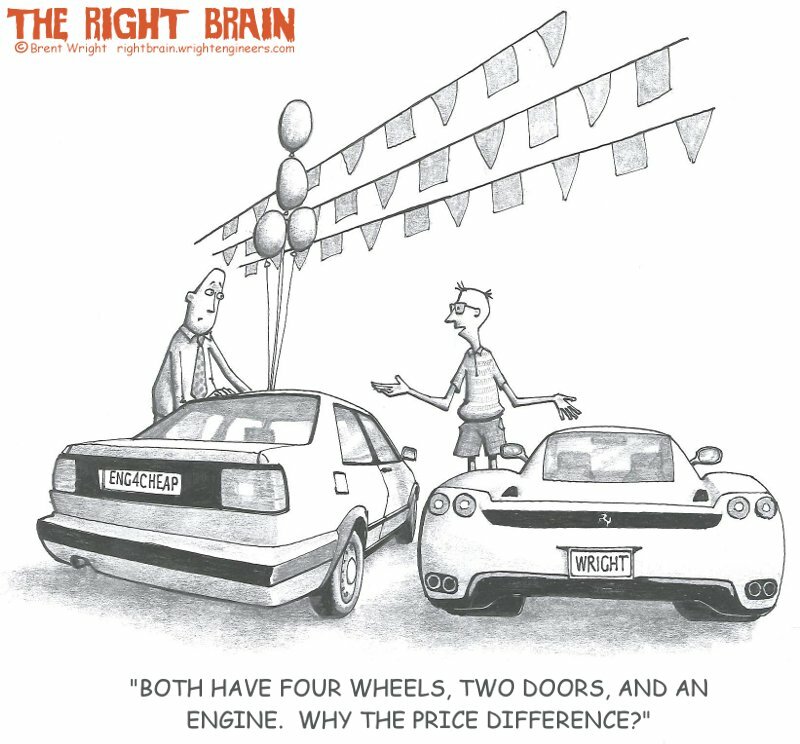 The Right Brain: Why the Price Difference? Some naïve people incorrectly assume that if choosing the "lowest bidder" is a good way to save money when selecting a plumber, then using the "cheapest engineer" will also save money. 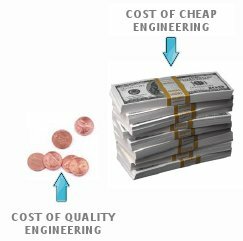 More often than not, though, saving pennies with cheap engineering actually increases the bottom-line cost of the project.